Priests at the Church of the Virgin Mary and Abu Seifin in Ezbat al-Haganah, Nasr City, received an imam from Diaa al-Haq mosque, Saad Askar, who informed the church’s guards of the existence of a bomb on the mosque’s roof, planted be terrorists targeting Copts celebrating Christmas at the church. “We have to stand by each other’s side and take care of each other. Those who target places of worship have no religion and are neither Muslim nor Christian,” Askar said at the church. Mosque worker Gouda Shaaban Khalifa, 63 and Askar, the two heroes of the incident, spoke to Al-Masry Al-Youm about its details and how they learned of the existence of the bomb. 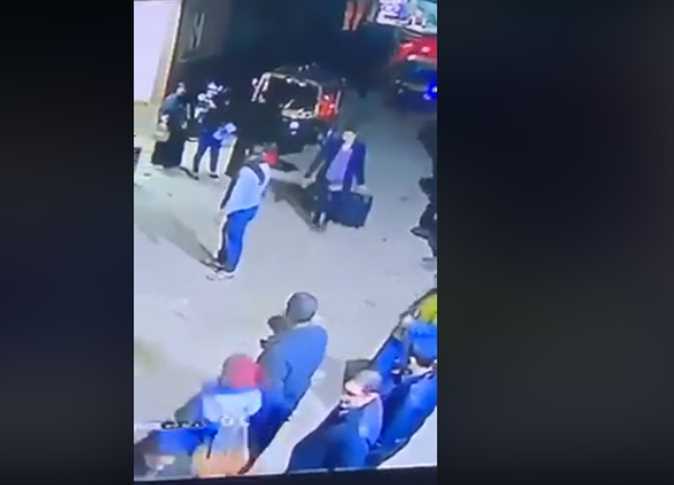 On Saturday evening, two Al-Azhar students who were at the mosque saw a stranger holding a suitcase and heading upstairs. According to Gouda, when they asked him where he was going he said he was looking for a friend. At first, the two students just ignored the stranger and went to pray at the mosque. After they finished, they were surprised when the man hurried down without the bag, Gouda said. “One of the students came to tell me what happened, and the second went to Sheikh Saad,” he continued. Askar confirmed Gouda’s story. He added that he and Gouda ran after the stranger and caught him, but he then escaped. After that Askar headed immediately to the security guards of the church and informed them of the suitcase, while Gouda ascended to the top of the mosque to check on it, Askar said. Fifteen minutes later, a bomb squad arrived at the scene and attempted to dismantle six bombs which were inside the suitcase. The first bomb exploded, killing Major Mostafa Ebeid al-Azhari, from the bomb squad, and the rest could be dismantled, Askar said. A CCTV video from surveillance camera footage near the Virgin Mary church, revealed the moment a terrorist entered into a building attached to a nearby mosque to put an improvised explosive device (IED) on the roof to cause an explosion near the church. A security source confirmed on Sunday that Azhari, from the bomb squad in Cairo Security Directorate, was killed on Saturday evening while trying to dismantle the IED, which was inside a bag hidden on the mosque’s rooftop.